What no meat, oh crumbs! 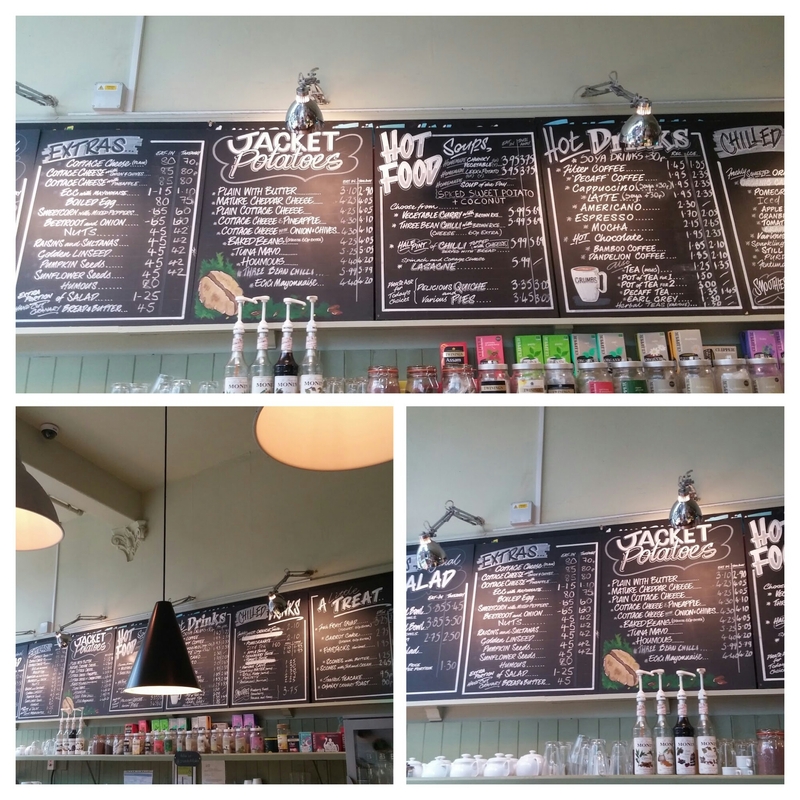 Lunch at Crumbs Vegetarian Kitchen, Cardiff. Readers of the blog can have no doubt that I am an avowed and voracious carnivore. I love meat in nearly all its guises and very much adhere to a nose to tail policy of eating nearly every part of an animal (knowingly or unknowingly so). Brain (in larger animals) is pretty much the only part I have been known to really baulk at. A many times postponed lunch time catch up with J (many newer readers may have no idea who I am referring to here as she has only featured on the blog once this year) was prefaced by a request for it to be a light lunchtime meal only and something wholesome. 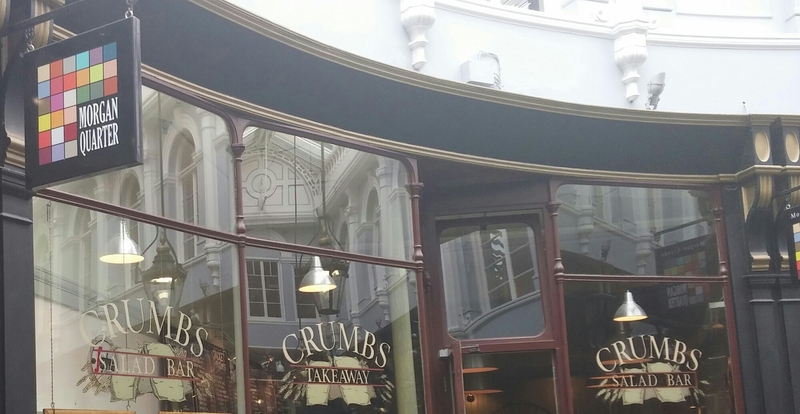 Can’t say I frequent many places that offer what I would regard as light and wholesome (always think boring rabbit food when food is described as such), but having walked past Crumbs in Morgan Arcade in Cardiff City centre (which bills itself as a vegetarian cafe) the day before it immediately sprung to mind. Spilling out into the beautiful Morgan Arcade in the City centre, it has (to me) a rather lovely facade. It has been there as long as I can remember and bearing in mind the length of time I have lived in Cardiff that is a long time and a fair few economic downturns to survive. It must, therefore, be doing something right. Inside it is quite compact downstairs, but with extra room upstairs and outside (but under cover) there is plenty of room. Needs it too as it is a popular spot. 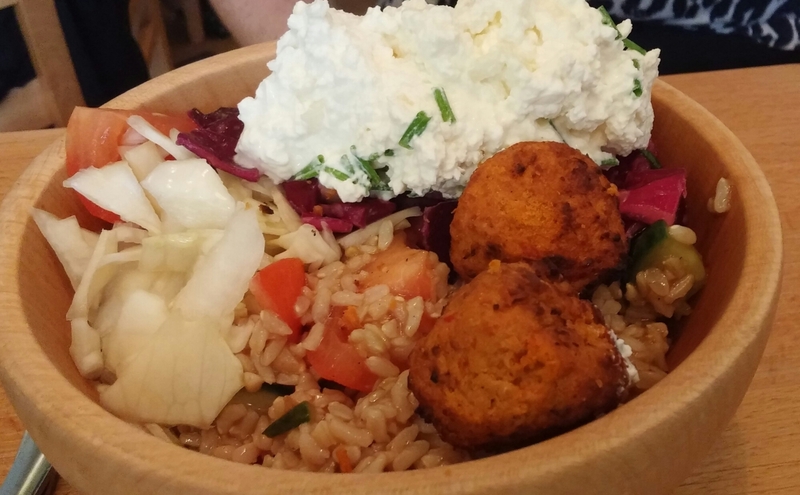 Bar from Southern Indian food, vegetarian food doesn’t tend to excite me hugely, but in addition to this old stalwart of the veggie scene a number of veggie/vegan places have started to pop up in Cardiff. 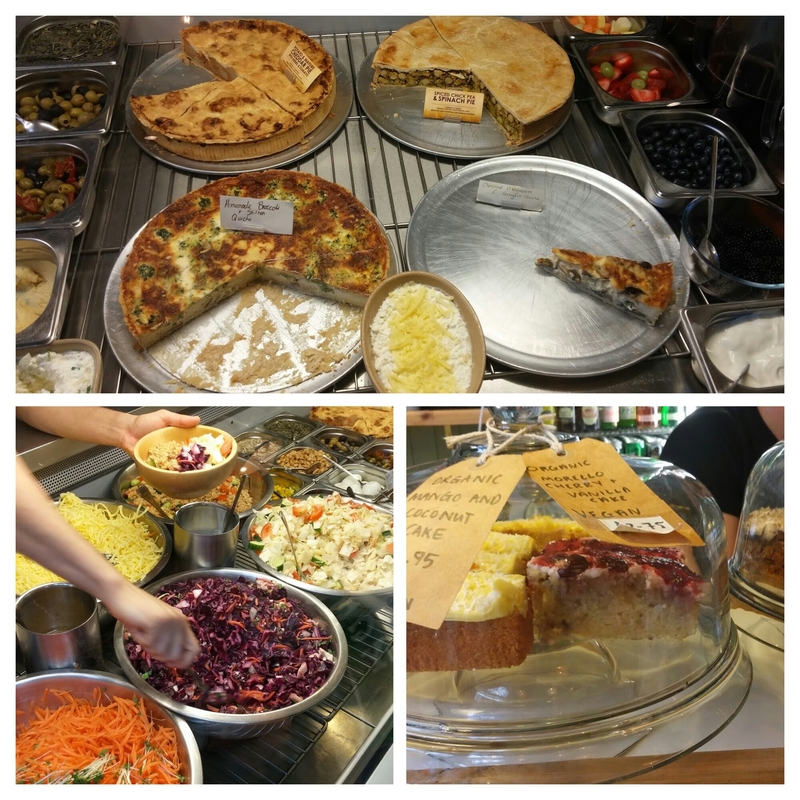 Places like Atma in the centre and Milgi and the vegan Anna Loka in the burbs and not forgetting the lovely Vegetarian Food Studio have massively increased the profile of veggie food in Cardiff. but also covers hot food such as soups, chillis, lasagnes, pies and quiches (all meat free, of course). I added a nice crunchy and chunky coleslaw. For the total price of £4.65, it was a very pleasant and filling lunch. 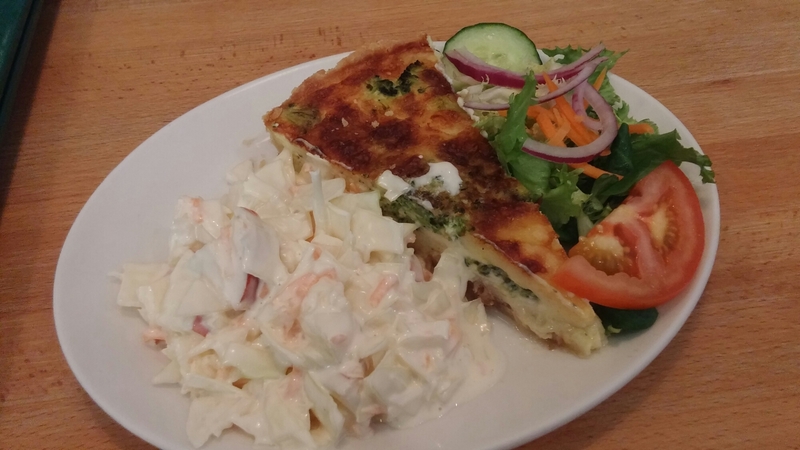 My only gripes (yes there usually is one I know, but I am afraid I am a fussy bugger) were the slightly pricey £1.30 for the added coleslaw (it was a big portion though) and the fact that the side salad that came with the quiche was undressed. 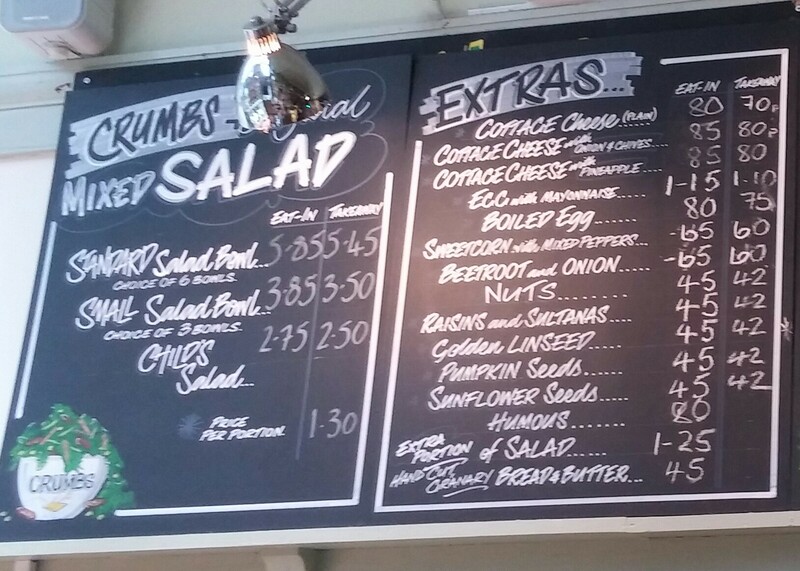 I am not at all keen on undressed salad and found it odd that this was the case here, as the place centres on salad. Minor issues though, as over all I thought my quiche very nice. For those with a sweet tooth there are a variety of decent looking cakes on offer. The morello cherry and vanilla one sounded lovely. Interesting all seem to be vegan friendly. 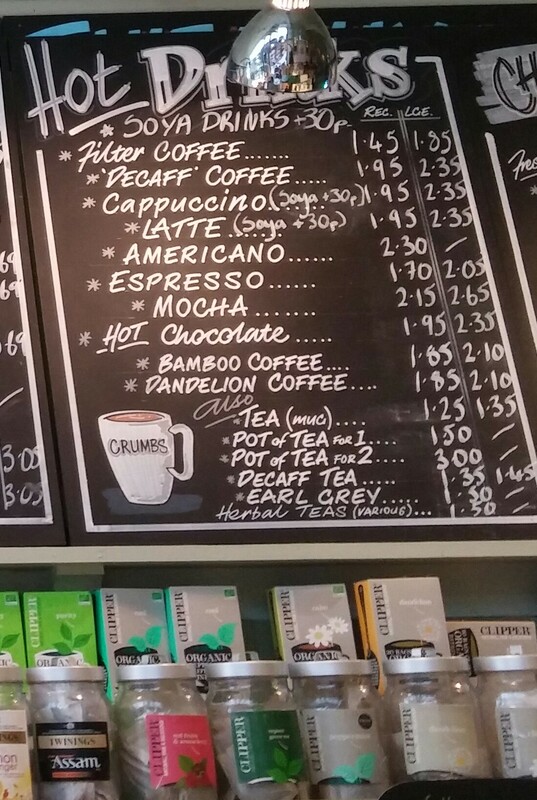 Crumbs has a decent selection of hot drinks including the option of soya for those that are adverse to dairy. 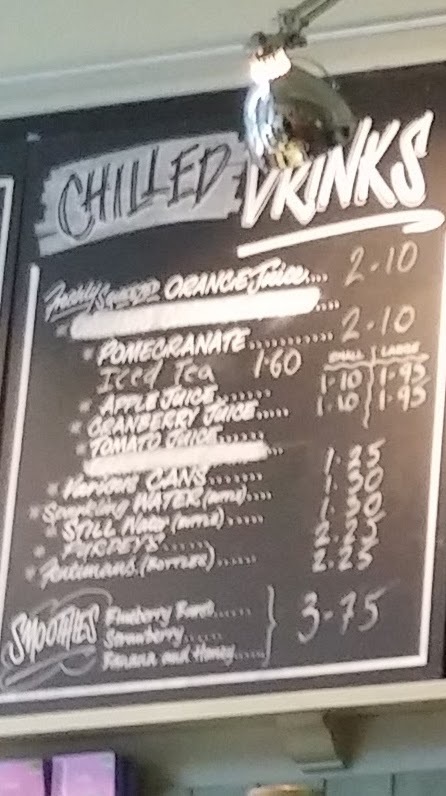 I had a large apple juice (£1.95) and J a boring diet coke (not sure of price but think £1.25). 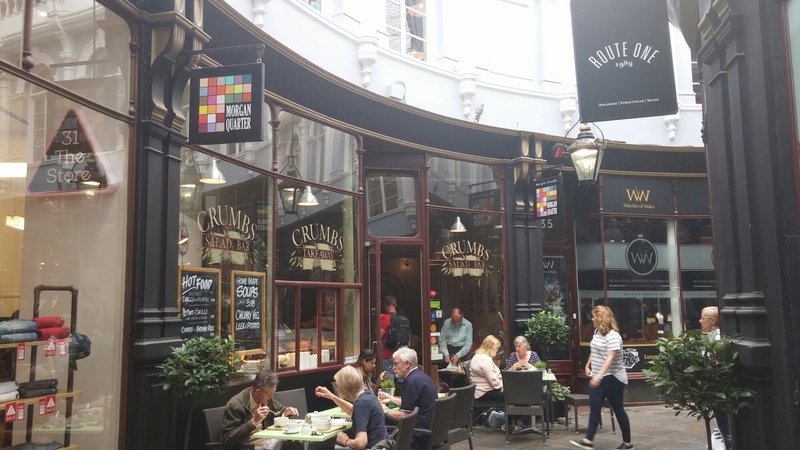 For a dedicated carnivore like me Crumbs is not perhaps my first port of call for lunch, but it made for a pleasant change from the norm and J and I very much enjoyed our lunch there. Price wise, all in at around £13.50 for the two of us, I thought it pretty decent value too. Would I go back? Yes definitely. Lovely little spot if you fancy a meat free lunch. 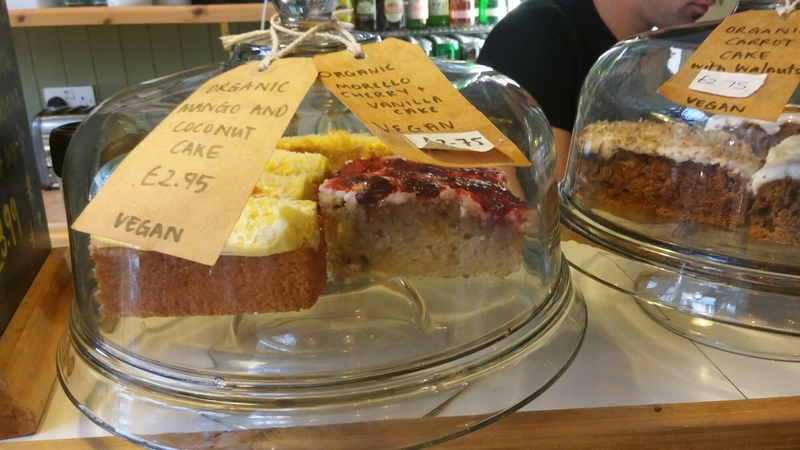 This entry was posted on Aug 21, 2016 by solicitingflavours in Breakfast, Cafe, cake, Cardiff, Cardiff restaurant, coffee, Crumbs, Food, lunch, lunchtime, Non alcoholic drink, Pie, Pies, Restaurant Review, review, salad, Take away, Tea, vegetarian food, Wales.